...to your online guide for research in Italian Studies, covering Italian literature, history and culture. Remember that I'm available to help with your research. The best way to reach me is via email, however, I also keep an open door policy so If I'm in my office (Rock 326) and I'm free, then feel free to come in and ask me a question. Capisco l'italiano. 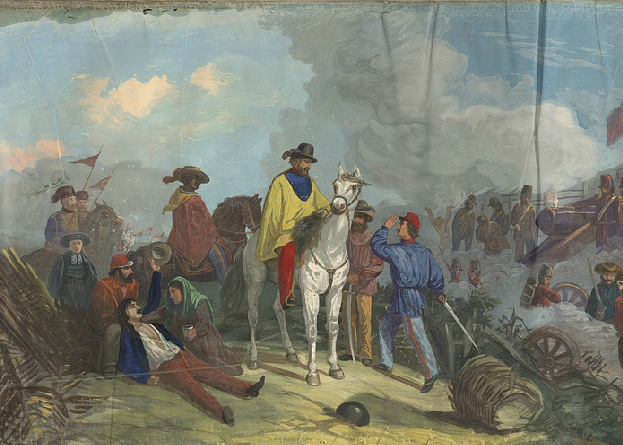 Garibaldi defending Rome. Scene from Garibaldi Panorama. Center for Digital Scholarship.